Mention code "FF APRIL" when you call and get FREE FREIGHT on your order! Blue Ribbon Blankets is proud to be making each piece by hand. We take extra care in expertly crafting our custom horse clothing, down to the smallest detail and the results are a perfect fit combined with wonderful function. 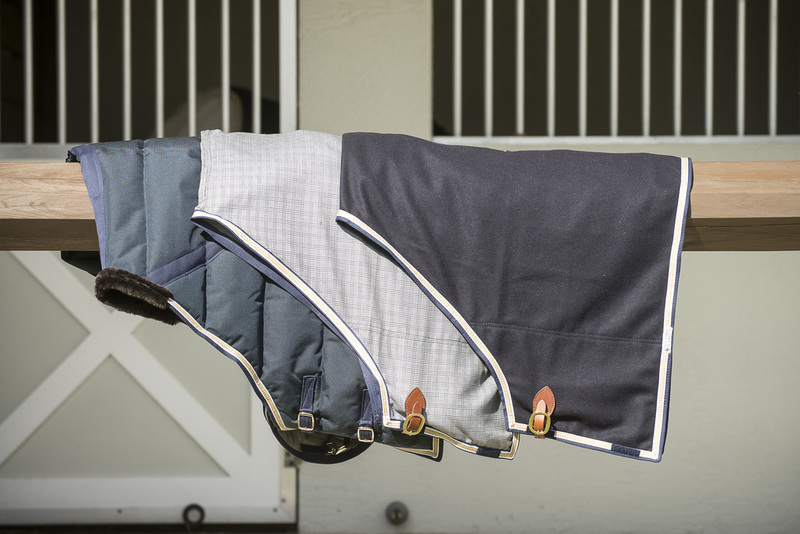 Whether it's a quilted stable blanket, a velour "bath" robe or a one of a kind plaid wool cooler, Blue Ribbon Blankets has a motto: If you can dream it, we can do it...! Choose from our wide variety of colors, fabrics, trims and pipings, then add custom logos to make your horse clothing completely custom.